"Jesus called them together and said, 'You know that those who are regarded as rulers of the Gentiles lord it over them and their high officials exercise authority over them. Not so with you. Instead, whoever wants to become great among you must be your servant, and whoever wants to be first must be slave of all. For even the Son of Man did not come to be served, but to serve, and to give his life as ransom for many.'" 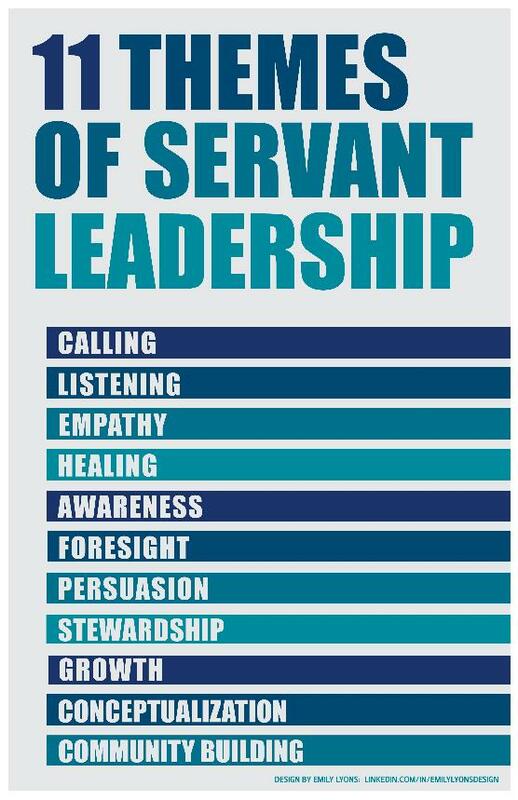 Servant leadership requires you to be a servant first and a leader second. Servant leadership is not a skill but an attitude, not a behavioral technique but a life-long commitment. The best example of servant leadership is found in Jesus Christ. Because He is the ultimate example of a servant leader, we should serve like Jesus and lead like Jesus. 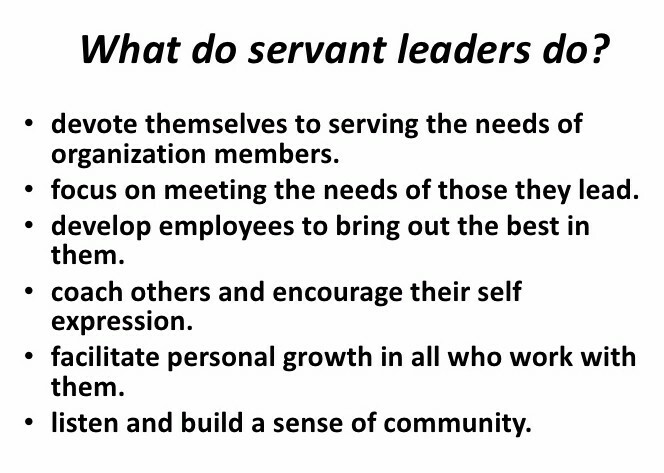 Robert K. Greenleaf, the founder of the modern servant leadership movement, introduced the term of "servant leadership" and articulated it in the following 11 characteristics in which servant leadership may be cultivated. To be an effective missional business entrepreneur, a businessman or businesswoman must learn about servant leadership and apply it rigorously to day to day business practices. Dedication Service: SfK Ministries was dedicated to the Lord and His Kingdom on May 14th, 2016 in Los Angeles. Dr. Neal Johnson was the keynote speaker for the event, and Jeffrey shared an introduction to BAM and how SfK serves in the BAM eco-system. More than a dozen people traveled from different parts of the nation to attend the event. It was an uplifting and encouraging evening. Rev. Dongho Kim of Korea sent a congratulatory video message, encouraging us to keep up the good work for His Kingdom. Board Strategic Planning Session: SfK Life Corporation held its first strategic planning session on May 14th. Many issues were identified and the board has since participated in an exercise to prioritize various action plans that came out of the brainstorming session. Statement of Faith: SfK Life Corporation chose to subscribe to the Lausanne Covenant of 1974, affirmed in the Manila Manifesto and further clarified in the Cape Town Commitment. A shortened version of the Statement of Faith has been posted to the website. Click here to check it out. SfK has produced its first video clip of missional businesses that it is currently supporting. This video clip features Nebia House and Skybay Thailand. Click here to learn more about Nebia House and Skeybay Thailand. 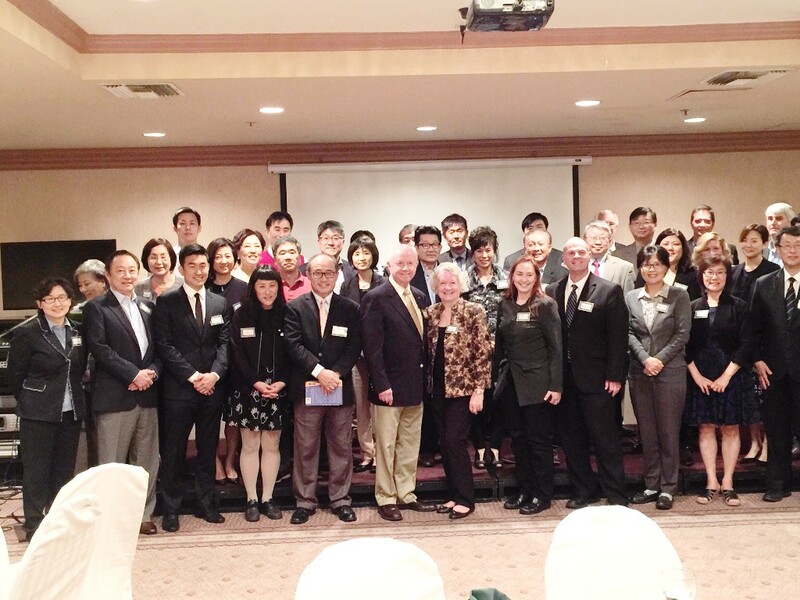 SfK Thailand will hold an MBA Seminar in Bangkok in July, targeting Korean missionaries or Korean businessmen who aim to develop their businesses into missional businesses. Please contact Peter Lee at peter.lee.tmc@gmail.com for more details. July 18 - August 20, 2016: (with a one week recess the week of August 1 for a Mission Korea event) International BAM Alliance (IBA) of Korea will hold a IBA BAM School in Seoul. This four-week training, to be conducted in Korean, will help equip potential BAMers and mission agency leaders. Jeffrey will serve on the panel that will evaluate the business plans that the participants will present on August 18 and 19. September 16-18, 2016: BAM Conference to be held in Los Angeles, CA. This Conference will be available to whomever is interested in learning more about BAM. Please go to www.bamconference.com for details. February 18 - March 10, 2017: A more intensive BAM training will take place in Chiang Mai, Thailand. This three-week training will include classroom learning for two weeks and one week of field trip to missional businesses. Please go to http://bamtraining.org/bam-course. SfK Korea is still under development and a BAM Fund is being established. Please pray that the Lord will bless us with His divine wisdom and necessary resources to play a role in orchestrating His resources for the appropriate purposes. SfK is still developing a cloud-based database that will help manage the data for Kingdom Fellows and Missional Businesses globally. Please pray that this development process will gain the Lord's favor and accelerate its development. SfK is seeking the Lord's guidance in mobilizing financial resources that He has allotted for SfK Ministries. As we begin to see more Kingdom investment opportunities, it is our prayer not to miss the opportunity to support them. Until the next newsletter, may the Lord bless you richly so that you may become a greater blessing to those in need. Copyright © 2016 Synergy For the Kingdom Ministry, All rights reserved.